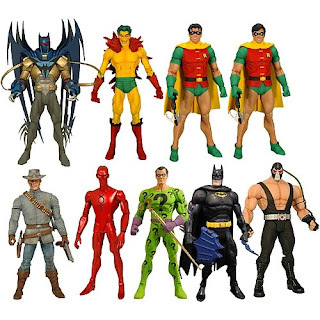 DC Universe Classics wave 16 is now shipping from Entertainment Earth. EE has two separate case pack-outs available. The first includes both Robin figures (vintage and modern) and a black Batman figure. 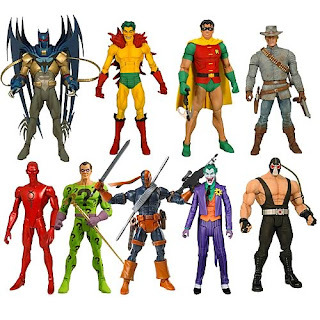 The second case includes Joker and Deathstroke, but only one Robin (vintage or modern). If you spend over $99, use code 2104102 at checkout and get free shipping.